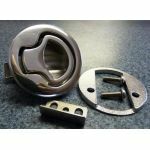 Buck Woodcraft offers high-quality marine hardware suitable for interior and exterior applications on boat doors, cabinets and hatches. 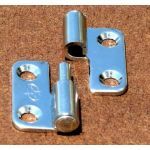 Our flush-mount Southco and GemLux slam latches are stylish, easy to install, and tough. And they're available in both polycarbonate and electro-polished stainless steel at prices well below what you'd pay for the identical products in any retail outlet I've seen. 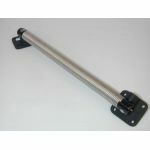 We also offer a selection of marine plastic and polished stainless steel hinges, along with stainless steel piano hinges in 26-inch, three-foot and six-foot lengths.